AGRICULTURE minister Michael Katambo says payment to farmers by Food Reserve Agency for their produce remains a challenge until the Ministry of Finance start funding the agency on time. “Once farmers are paid on time, it will be easier for them to plan for their produce,” Katambo said. 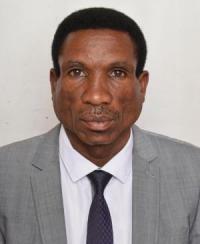 The Zambia National Farmers’ Union (ZNFU) has urged government through the Minister of Finance and the Minister of Agriculture to put priority on release of funds to pay farmers for crop marketing and input supply. The Union says on its website that it is time to walk the talk and avoid repeating the same mistakes every year because the cycle of crop production is known by all, notwithstanding all the competing demands on Government. Katambo, however said that the ministry of Agriculture and finance were constantly in engagements to try and get the funding in good time.